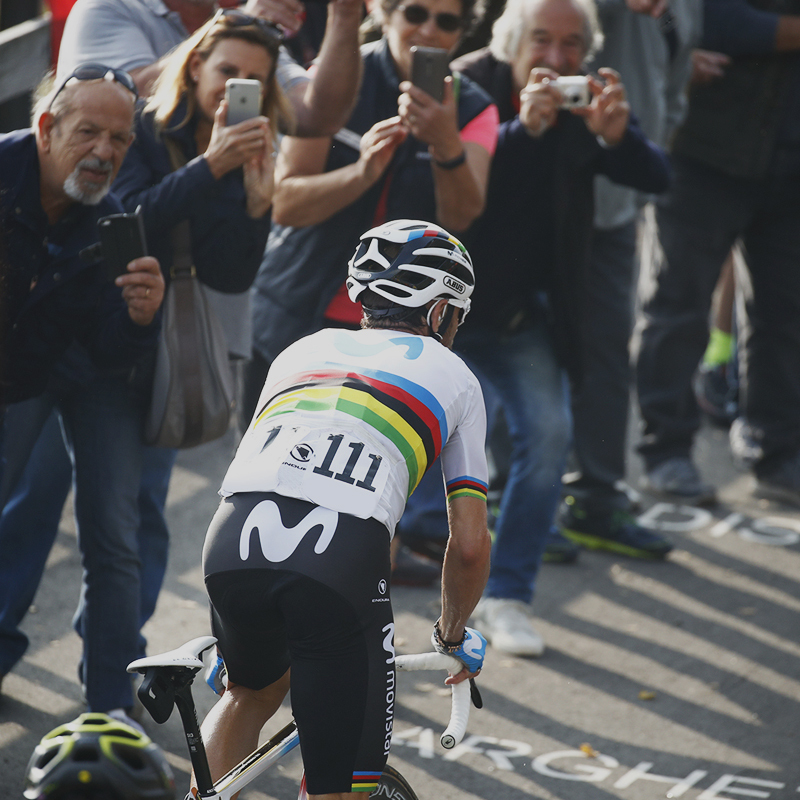 For the 2019 campaign Alejandro Valverde is once again Movistar Team’s co-leader with Nairo Quintana and Mikel Landa – and this year the Spaniard rides wearing the exclusive Rainbow Stripes of World Champion. But it’s not just a rainbow on his jersey… El Bala will also ride with his new shoes and saddle, which bear the iconic rainbow colors. Infinito R1 Iride shoes have the same technical features as the Infinito R1 Movistar Team delivering unrivaled dynamic fit, lightweight breathability and exceptional power transfer. Antares 00 Iride saddle feature the familiar fizik carbon double shell and Carbon Mobius Rail. Both look amazing– and will be seen for the first time at the Mallorca Challenge, then February’s Vuelta a Andalucia, a race where he’s already a five-time winner. Valverde will contest Paris-Nice in March and then return to Spain for the Vuelta a Catalunya. In April he heads north for the Amstel Gold Race, Flèche Wallone and Liège-Bastogne-Liège – a trio of important races across which he has a total of seven victories, although none have yet come for him at Liège. But even the Ardennes Classics are a warm-up for Imbatido’s biggest challenges of his rainbow year, the Grand Tours: first it’s the Giro d’Italia in May, where he finished third on his only appearance. Then it’s the Vuelta a España (August-September), where El Bala has won outright once and finished on the GC podium no fewer than six times… he would love to secure another outright victory at the Spanish Grand Tour. In late September, Yorkshire, England, presents the opportunity for Alejandro Valverde to defend the Famous Rainbow Jersey at the World Championships.